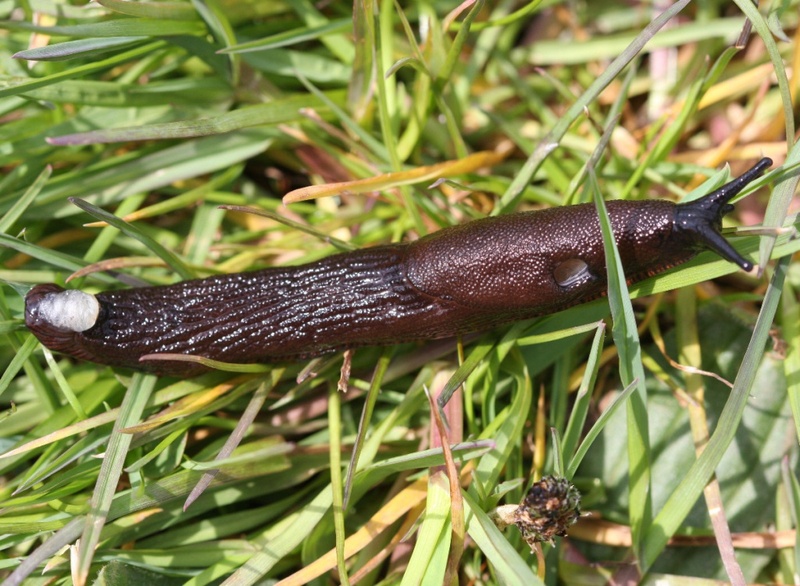 Black Slug - Arion ater agg. 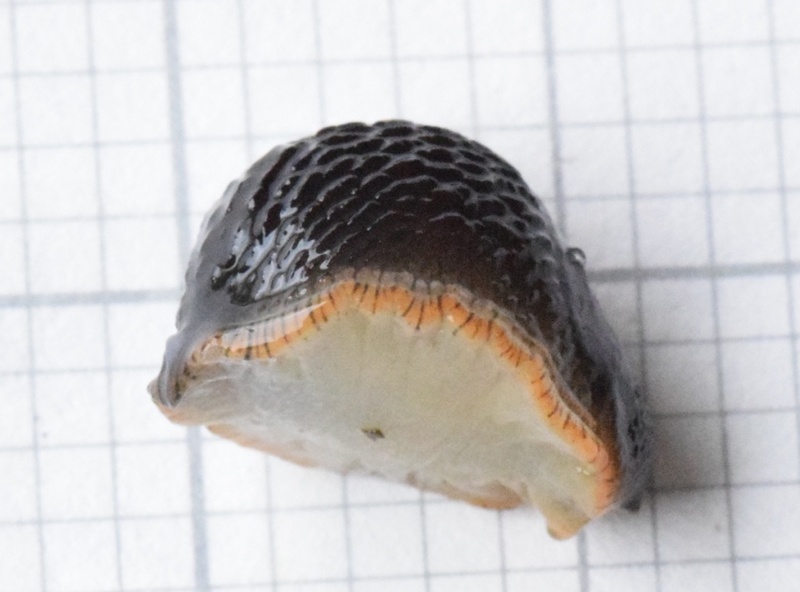 Whilst Arion ater is a very common slug, it belongs to a species complex that can only be 100% differentiated by dissecting the genitalia so it is usual to record them as part of this aggregate group. 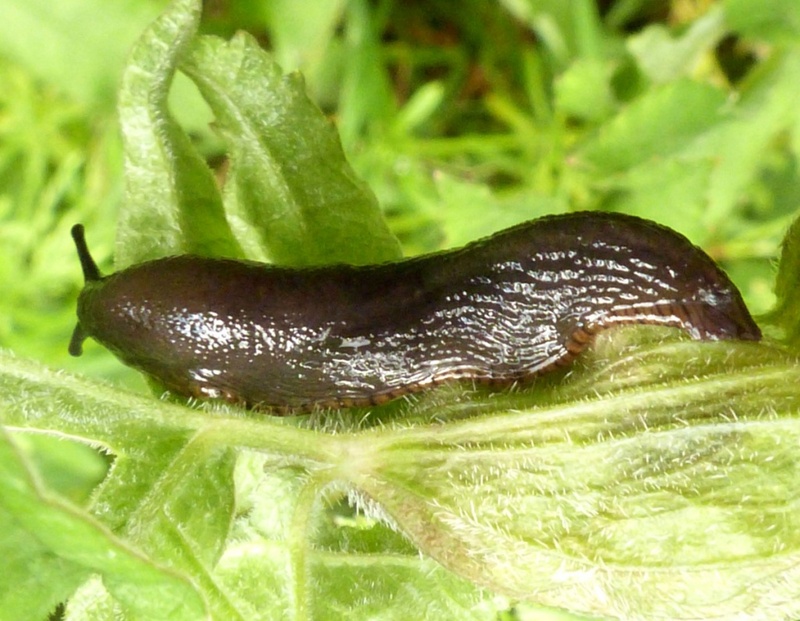 There are three species in this complex (Arion ater group): Arion ater, A. rufus and A. vulgaris. 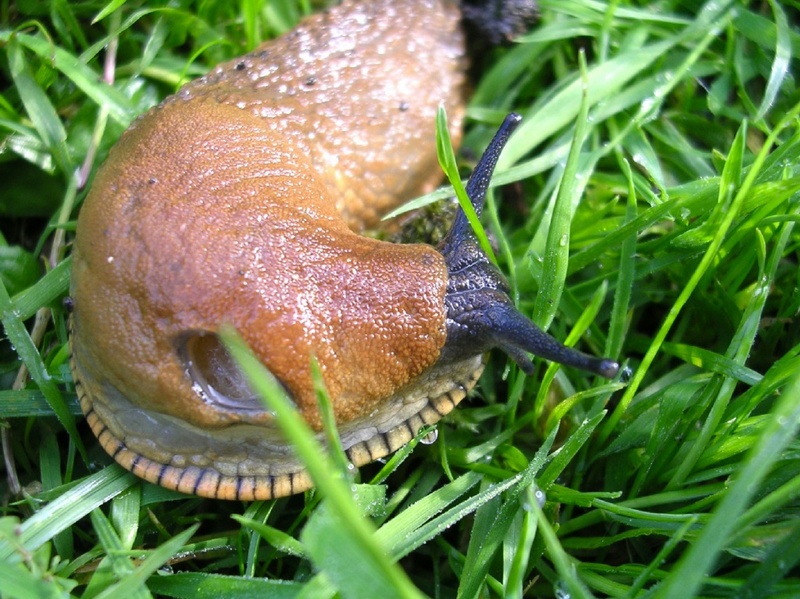 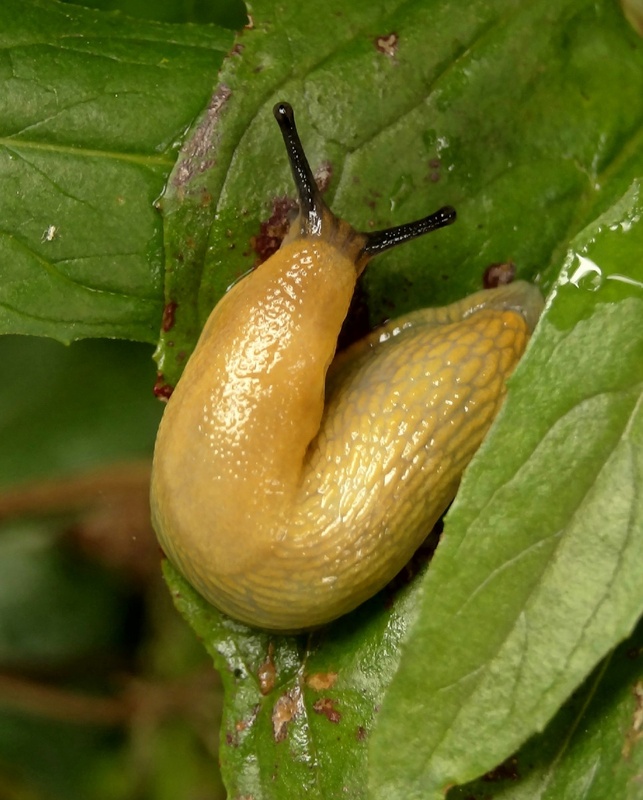 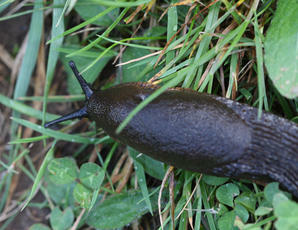 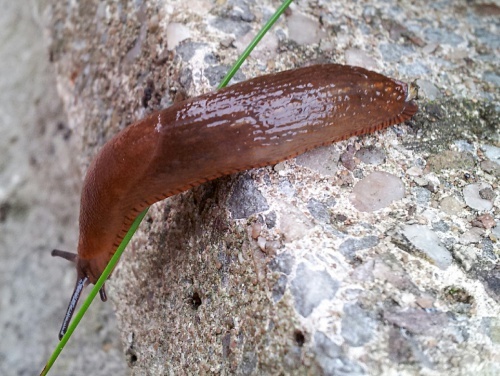 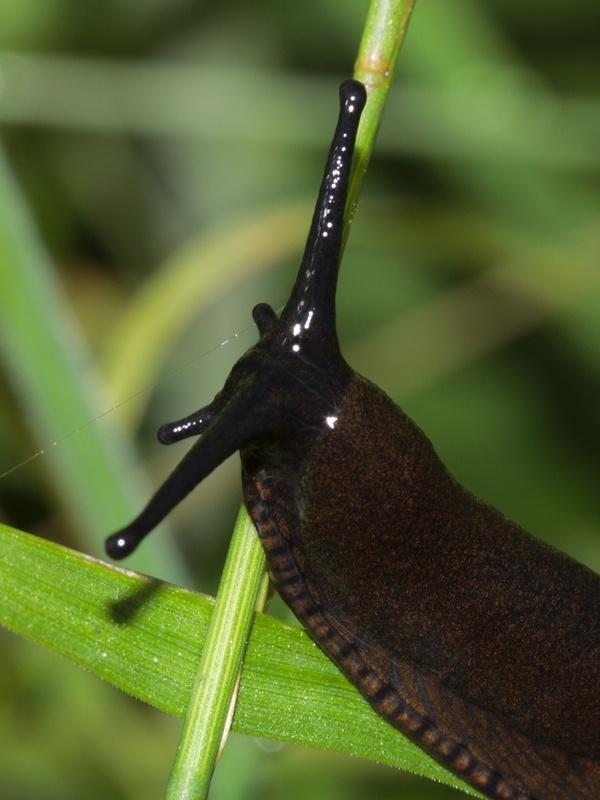 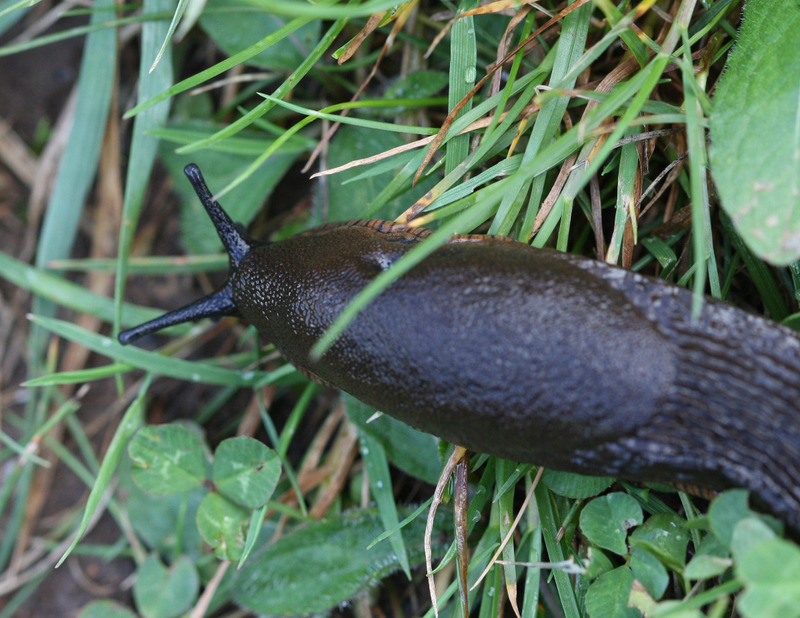 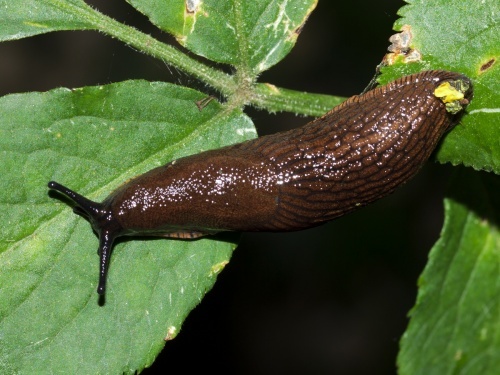 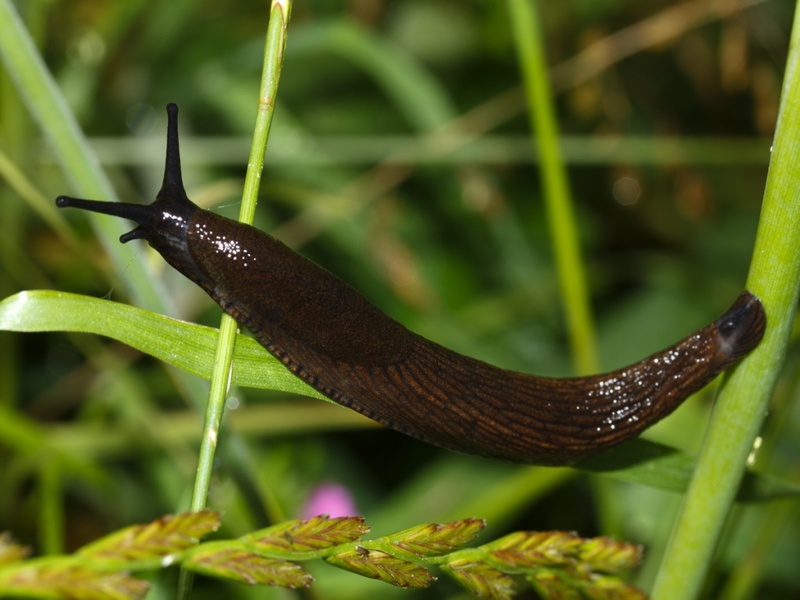 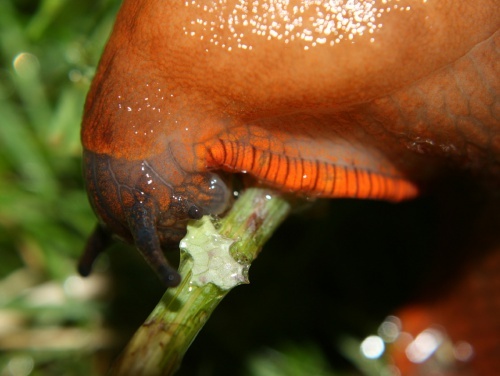 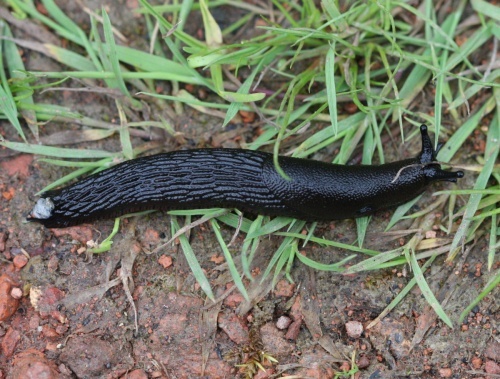 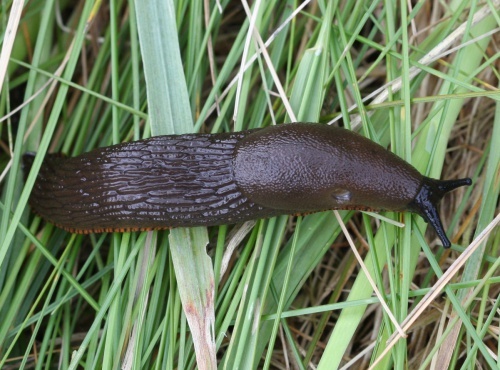 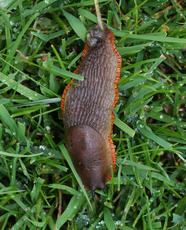 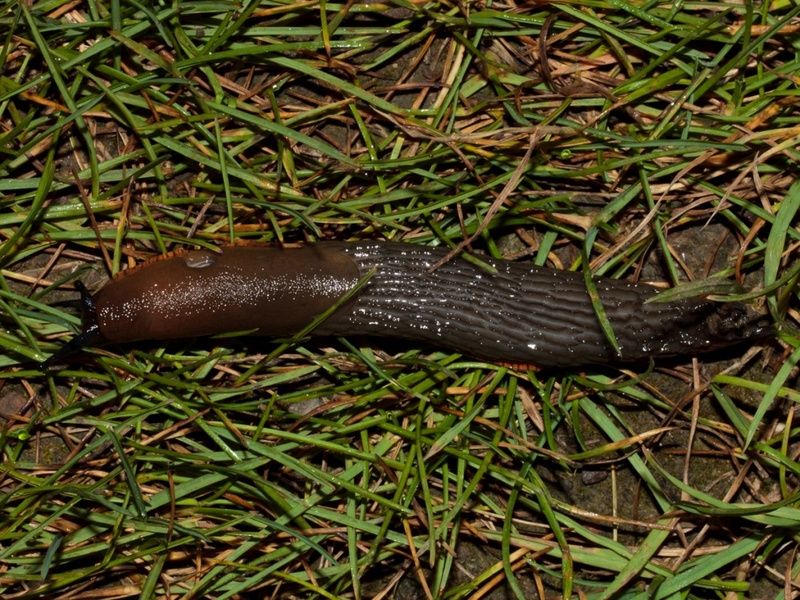 These slug species range from 75-180 mm in length at maturity. 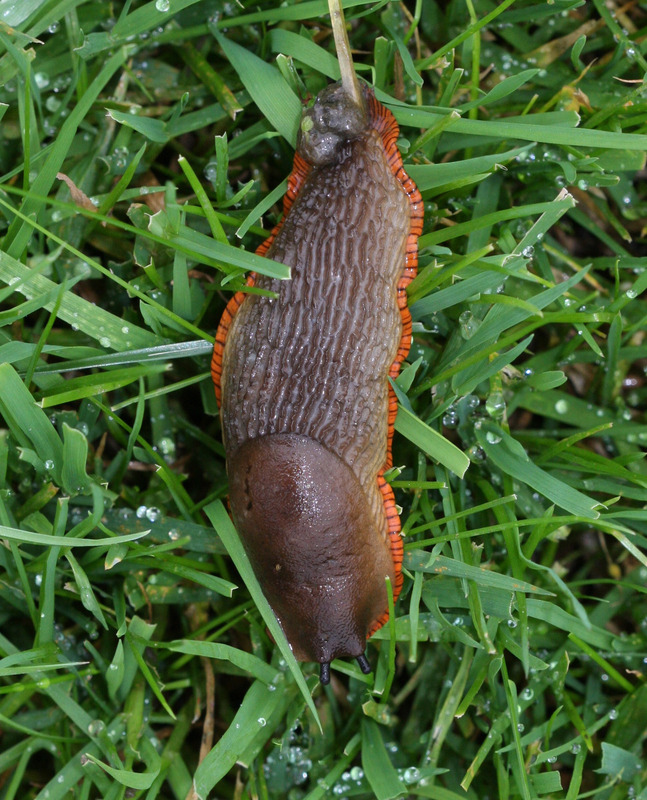 They may be dark brown, black, grey, orange or reddish in color. 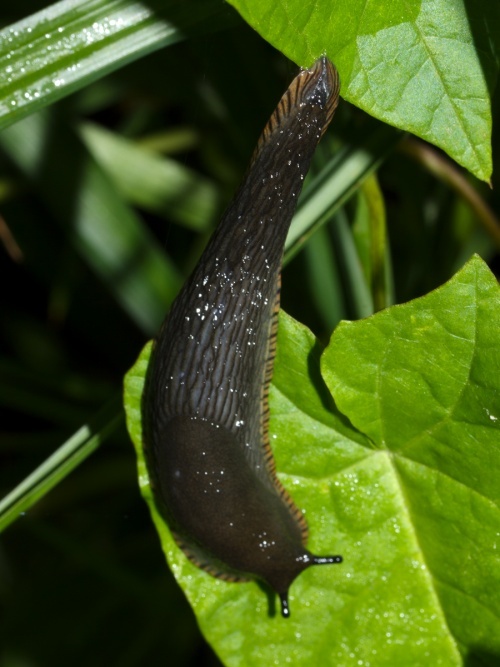 They are large and bulky with long, coarse tubercles on the side and back. The juveniles of these species have an even wider range of colors and can be distinguished from mature adults by the presence of lateral stripes. 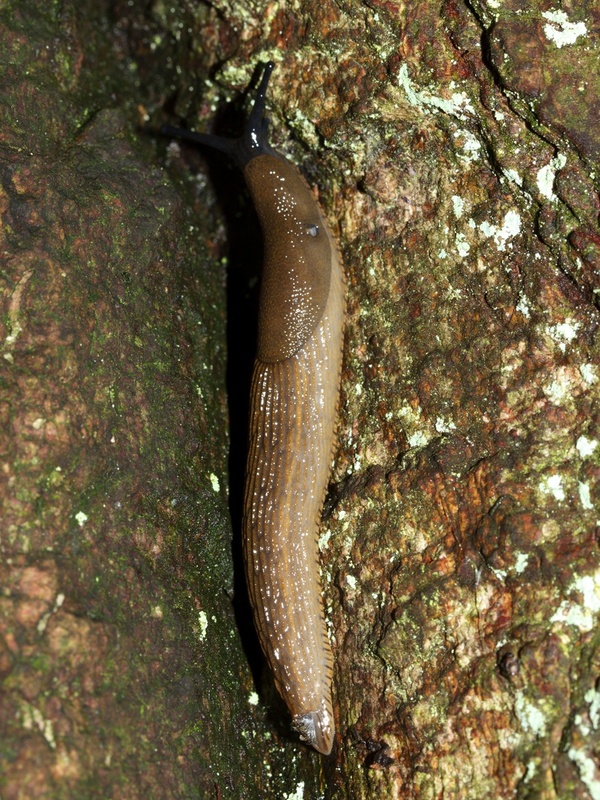 Juveniles of the Arion ater-complex may be confused with adults of other Arion species. 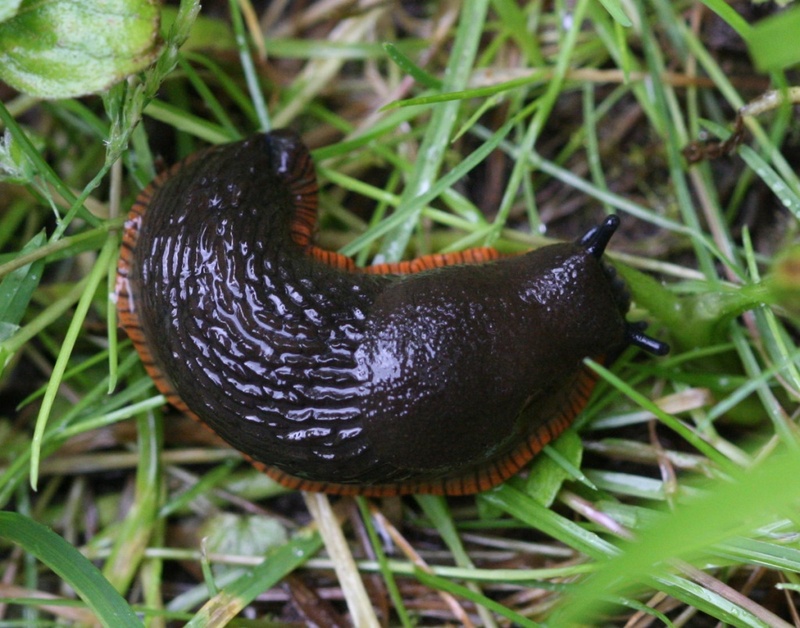 The contracted body is bell-shaped. The sole of the foot may be black or tripartite (pale with a black vertical line down the center). 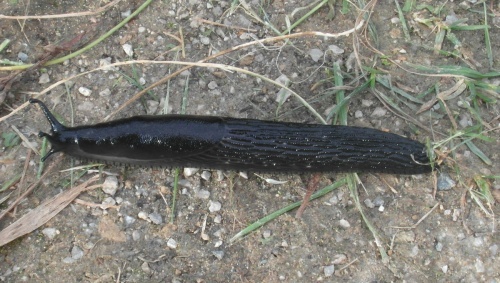 The foot fringe may possess any of the following colors with vertical black bands: red, orange, yellow or grey. 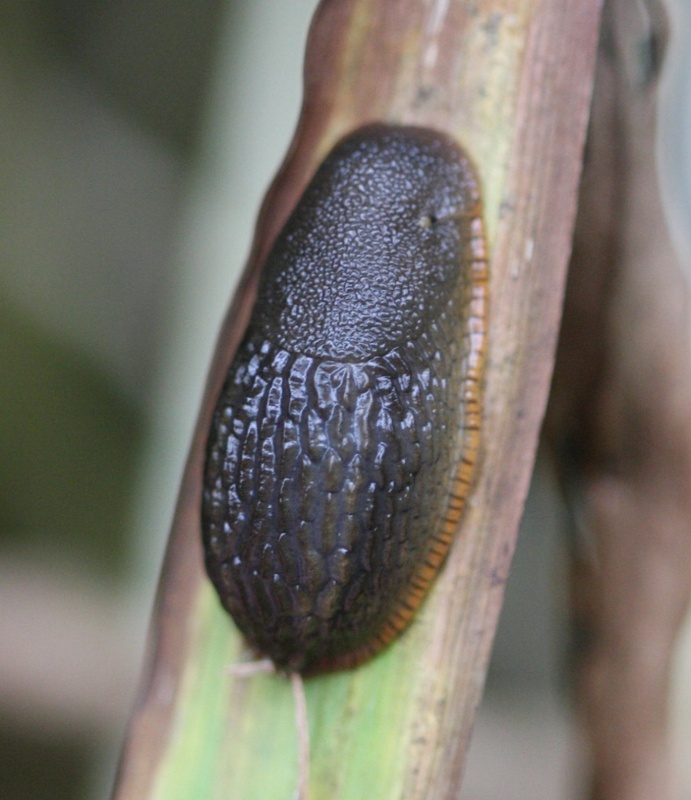 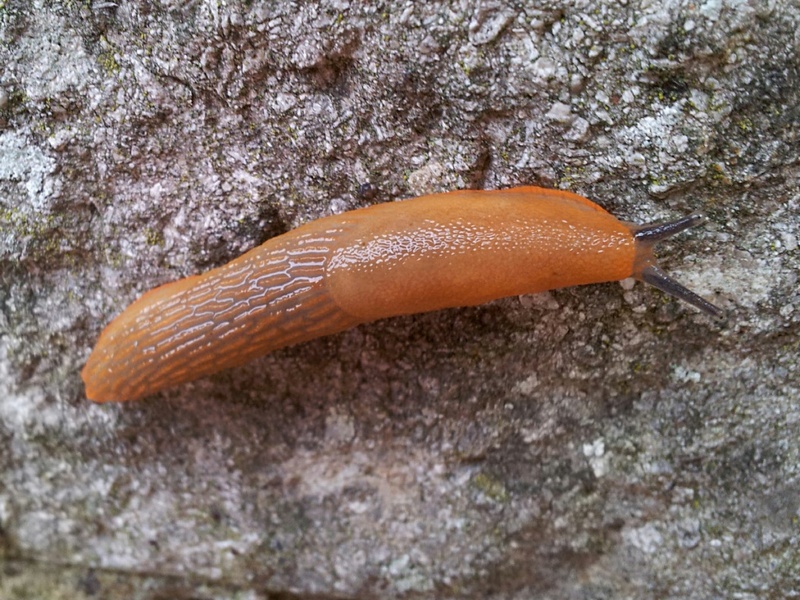 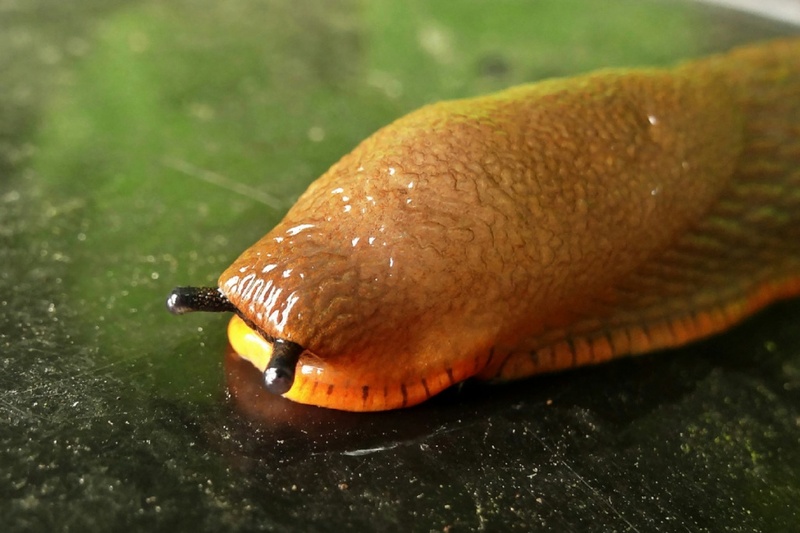 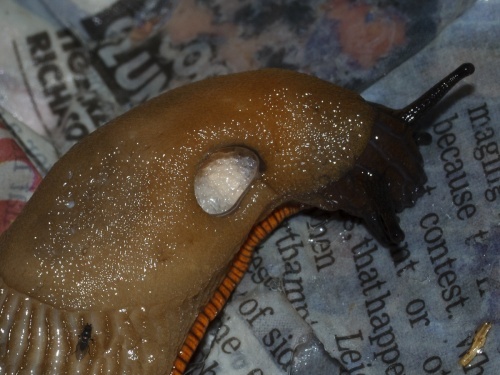 The mucus of this slug group is colourless, though very sticky, and they lack a keel. 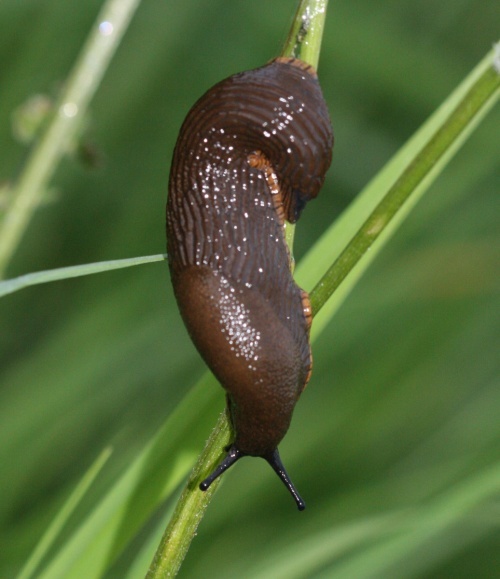 Our native A. ater is difficult to separate from the introduced A. rufus but one reported difference is that when irritated, Arion ater contracts and sways from side to side, a behaviour not seen in A. rufus. 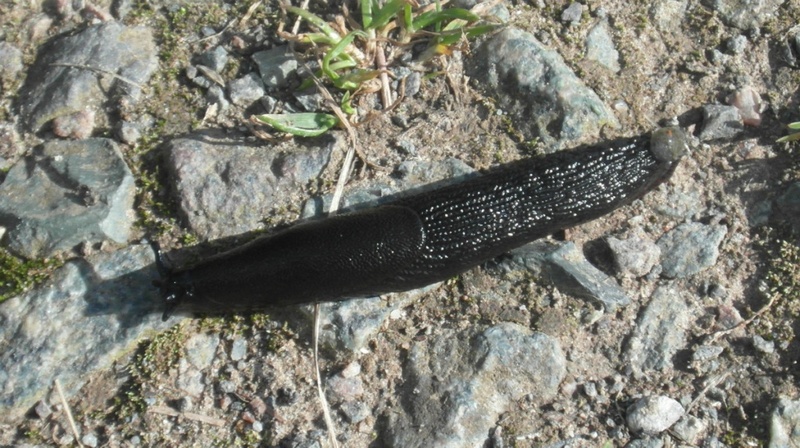 The rocking behaviour can be seen here on YouTube. The latter species also tends to have a bright foot-fringe, normally brighter than the body colour, though this is not a totally reliable ID feature. Common in any well vegetated area, including gardens. 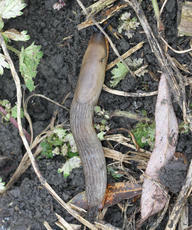 After rain or at night - readily found from spring to autumn. An omnivorous species, eating carrion and dung as well as vegetable matter. It prefers rotting vegetation to living plants and consequently rarely does much harm in the garden. 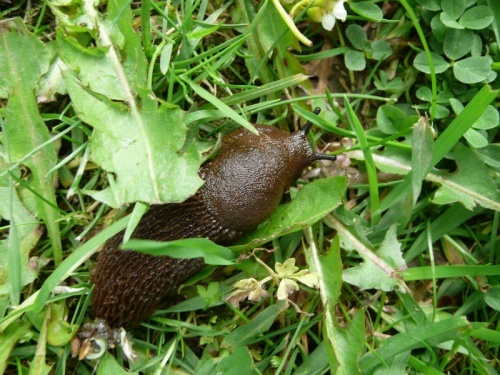 Largely nocturnal, but large numbers have been seen on freshly mown roadside verges feeding on the grass after daytime rain. 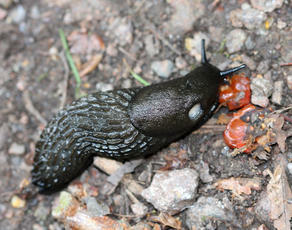 Clusters of their pearly-white spherical eggs, about 5 mm in diameter, are often dug up in the garden and compost heaps. 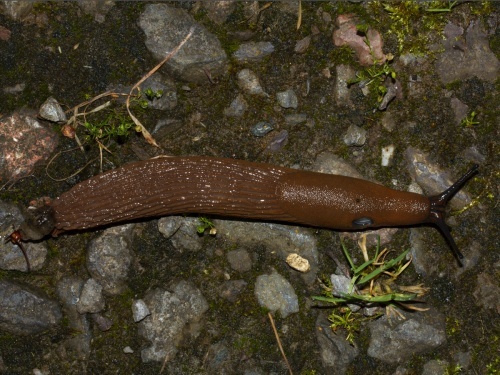 Extremely common and widespread throughout Britain. Very common and widespread in Leicestershire and Rutland.